These are beautifully designed men's Ray Ban RX5246 eyeglasses for those men who want to make a statement and stand out from the crowd. Durability should always be one of your priorities when you look for new eyewear, which is why these plastic eyeglasses' frames are ideal. 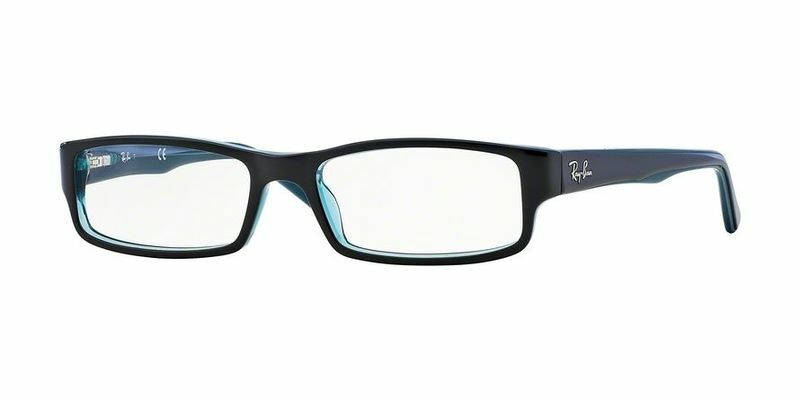 If you're the active and practical type, you'll benefit from having plastic Ray Ban RX5246 frames. With these cool frames you'll be able to live your life the way you want to. Nothing's going to hold you back, but whatever you do wear these trendy Ray Ban RX5246 eyeglasses with attitude. My item came very quickly and at a very low cost . These glasses are a prefect fit they are so light you don't even realize that you are wearing glasses. I also like the price and the quality of the frame.